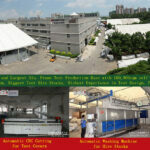 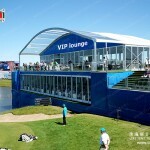 It is no doubt that the two storey tent is a perfect design for the events. 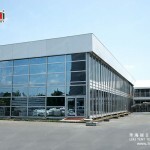 It can be 200% space used, which solves the land limit problem. 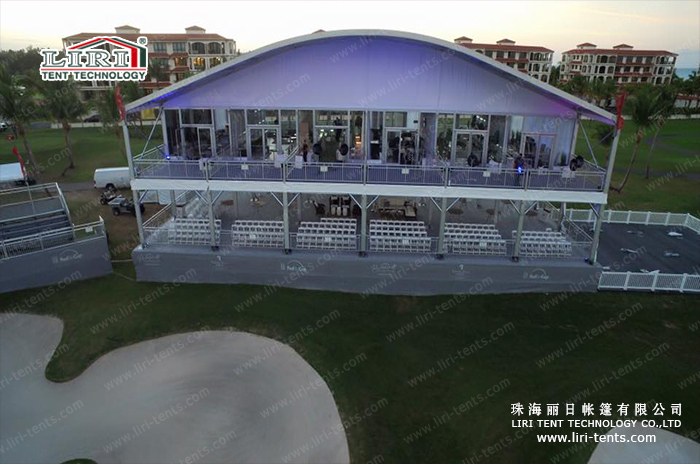 Keep pursuing innovation is an advantage of Liri Tent manufacturer, based on the design of “A” shape two storey tent, Liri Tent manufacturer bend the roof beam to turn it into an arch shape. 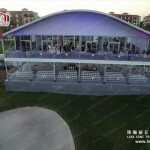 The unique Arch Shape make the two story tent become a hot sale product. 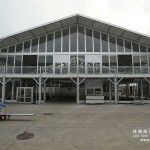 Regarding the accessories for the arch shape two story tent, the same accessories are optional as the single storey tent, such as glass and ABS hard walls, glass doors, aluminum doors, flooring system, air conditioner, stage, lighting, roof lining, and curtain etc.. 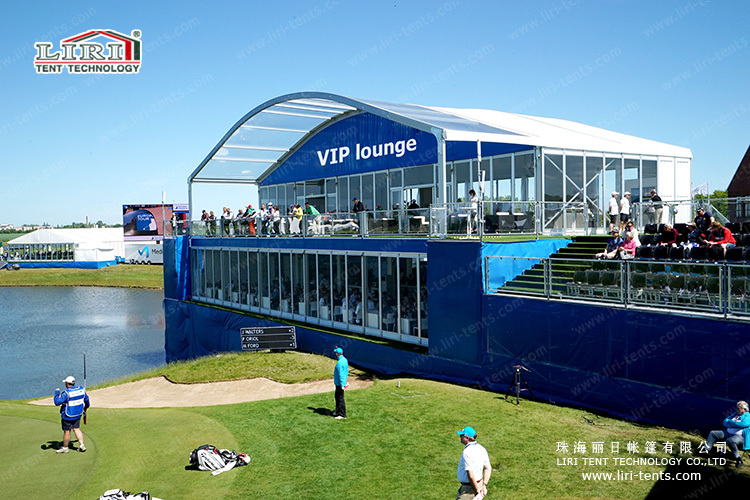 The arch shape two storey tent structure is specialized in offering the VIP spectator stands in the world top mega event and all sorts of international sports games like football games, golf, equestrian, and car racing etc. 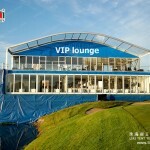 It can not only solve the limited land problem but also can offer the visitors the best experience with a wider horizon.